We can guarantee your energy savings with our products. 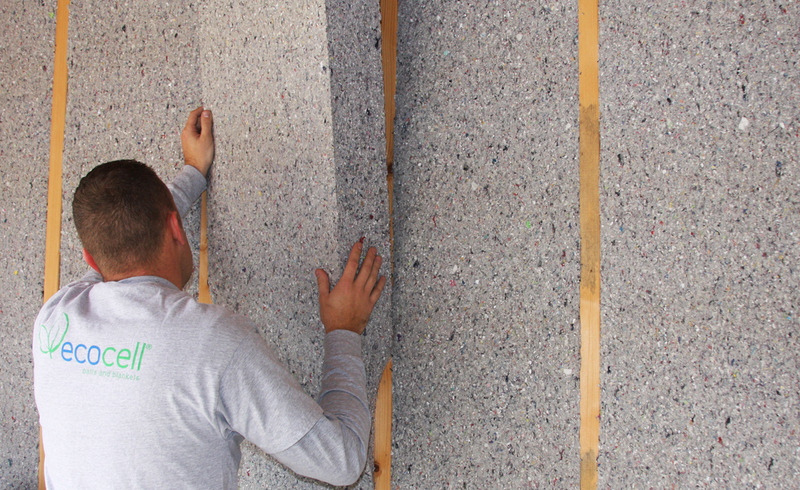 Made from recycled paper, Nu-Wool Premium Cellulose Insulation (3.8 R-Value per inch) is installed in walls, attics and floors of new and existing houses to help curb rising energy costs and create more quiet and comfortable environments. Using the Nu-Wool WALLSEAL System, Nu-Wool Premium Cellulose Insulation is installed in wall cavities forming a seamless bond. Consists of 85% recycled paper making it one of the greenest insulation products on the marketplace. Up to 40%* on heating and cooling costs compared to fiberglass insulation. Notice the “quietness” with Nu-Wool Premium Cellulose Insulation. One of the best values on the market. The R-Value of Nu-Wool is 3.8 R per inch. Nu-Wool is the longest running UL classified product in the cellulose insulation industry. Why do homeowners choose Nu-Wool Premium Cellulose Insulation when given a choice? Installed in both attics and walls of homes, Nu-Wool has a high R-Value (3.8 R per inch), offers superior thermal and air-infiltration properties, resists mold growth and even dramatically reduces noise transmission through floors and walls. Nu-Wool Premium Cellulose Insulation is one of the most acoustically superior materials available in residential construction, so homeowners can enjoy life in a quieter home. Homeowners also feel a satisfaction with their choice to live in a cellulose insulated home because they are helping the environment. More paper ends up in landfills than other types of material, and because Nu-Wool Premium Cellulose Insulation is made from recycled newspaper, homeowners choosing Nu-Wool are actually preserving land and trees for future generations. Nu-Wool Premium Cellulose Insulation is an energy saving cellulose insulation that eliminates the voids and air pockets common with other insulation materials. And, Nu-Wool Premium Cellulose Insulation is mold resistant, fire retardant, and cost-effective. It just couldn’t get any better for your home. 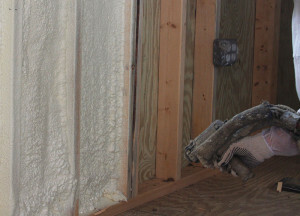 Guaranteed Energy Program offered by Nu-Wool Co., Inc.
Nu-Wool Premium Cellulose Insulation is so energy efficient, Nu-Wool Co., Inc. guarantees the heating and cooling bills on new homes built with Nu-Wool Premium Cellulose Insulation. Nu-Wool Co., Inc. has been offering guarantees on the energy performance of homes for over 25 years. Nu-Wool can offer this guarantee because Nu-Wool Premium Cellulose Insulation performs so consistently. We know of no other insulation manufacturer that offers a similar guarantee without any additional charge. If Nu-Wool stands behind its products so strongly, why don’t other insulation manufacturers? Key characteristics are entered into a computer program that calculates heating loads and the cost of heating based on fuel, weather data, efficiency of the heating system, and the air infiltration factor for the specific house. If only R-Values were used in the computations, homes with Nu-Wool Premium Cellulose Insulation would not heat or cool any differently than homes with fiberglass insulation. However, because it reduces air infiltration, Nu-Wool Premium Cellulose Insulation has a higher “Effective R-Value.” As a result, Nu-Wool insulated houses heat and cool more efficiently than fiberglass insulated houses. 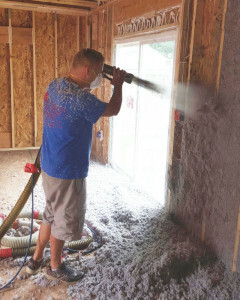 Nu-Wool, through certified Nu-Wool WALLSEAL dealers, offers this Guaranteed Energy Program for new houses insulated with Nu-Wool Premium Cellulose Insulation at no cost to the homeowner or builder. Under this program, the heating and/or cooling bills are guaranteed for a period of three years. If the energy bills exceed the guaranteed amount, Nu-Wool Co., Inc. will reimburse the homeowner 50% of the overage. ECOCELL insulation is the industry’s first cellulose based batts and blankets made from Nu-Wool Premium Cellulose Insulation and other renewable fibers. ECOCELL batts and blankets are very functional where traditional loose fill or sprayed-in cellulose insulation is not practical, and can be used in both residential and commercial structures. The R-value of ECOCELL products is the same as loose fill or sprayed-in cellulose insulation. ECOCELL batts and blankets combine ease of installation with superior thermal and acoustical performance making them a smart choice for homeowners and contractors. Made from at least 70% renewable and recycled fibers, ECOCELL products do not require any special equipment to install and do not itch or irritate skin. 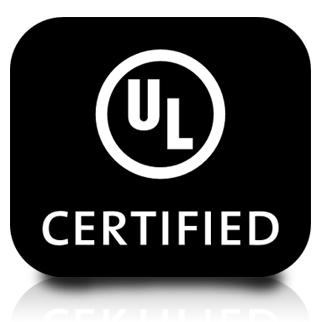 ECOCELL products are code compliant, Class A fire rated and mold resistant (contains EPA Registered fungicide to resist the growth of mold). Plus, ECOCELL materials can save up to 40%* on energy bills compared to fiberglass insulation. ECOCELL blankets are commonly used to insulate basements. ECOCELL blankets meet code requirements for basement insulation. ECOCELL blankets can be left exposed; therefore, are a cost-effective solution for insulating basements while meeting code. High in performance, Nu-Seal is a hybrid foam insulation system that contains high biological raw material and low embodied energy. These attributes make Nu-Seal one of the greenest foam insulation systems in the marketplace. Nu-Seal passes all ASTM testing for foam insulation products and is a Class 1 rated insulation product. Formulated exclusively for resale by Nu-Wool Co., Inc., the oldest cellulose insulation manufacturer in the world, Nu-Seal foam is the best product to complement cellulose insulation to cost-effectively seal a structure’s thermal envelope.